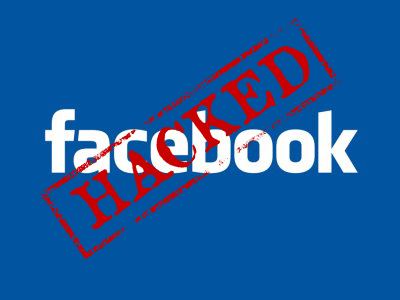 Home » Knowledgebase » Security » What to do if your Facebook account got hacked? Millions of computer users of various countries today use Facebook, a truly innovative communication tool and a real masterpiece of Mark Zuckerberg. Sadly, cyber hackers these days invent various methods of hacking Facebook accounts. In many cases Facebook account can be hacked when users click a link that leads to a fake Facebook signup page, or login page. It outwardly looks exactly the same as the true Facebook login page https://www.facebook.com, whereas the site address of this bogus Facebook login page is totally different. Sometimes users receive certain tricky messages from their friends on Facebook. These messages might prompt users to click certain link, supposedly containing some explicit pictures of videos of you. When they click such links they’re being automatically forwarded to this bogus Facebook signup page, where users are instructed to enter their login and password. By doing so the true Facebook account gets hacked, and now your own account begins sending the same spam messages to your friends and those in your contacts. Generally, even if users click this bogus Facebook signup page, the secure Internet browser should warn you of a risk of identity theft. But in some cases the browsers are not updated on time, or even being duly updated, they fail to track the danger. Hence, it is obvious that the degree of vulnerability of your Facebook and other social network accounts is quite severe. You definitely need to have a powerful and up-to-date security software that will be smart enough to warn you ahead of time about threat intrusion attempt or identity theft risks that might occur while you surf the web. Now, what do you actually do if you think your Facebook page got hacked? First recommendation is not to panic. This is exactly what hackers want you to do. On the other hand, keeping silence is also not a good practice. First, we recommend you to change your Facebook password immediately. Make sure you select a brand new password which has never been used by you before. It is desirable that the password is case-sensitive and has a high degree of complexity. Make sure that you observe the warning signs that state that you’ve been hacked. You need to visit the page https://facebook.com/hacked for all issued related to accounts being hacked likewise. Finally, tell your friends about the danger associated with your account hacked as mentioned above. You need to instruct them to disregard any tricky messages that they might have obtained from you or other persons. Apply the Facebook share option above this article to spread this information around other online users. Finally, we strongly advise that you scan your system with the help of legitimate and powerful security software that will help you detect and neutralize all other forms of cyber threats and malwares on your system.